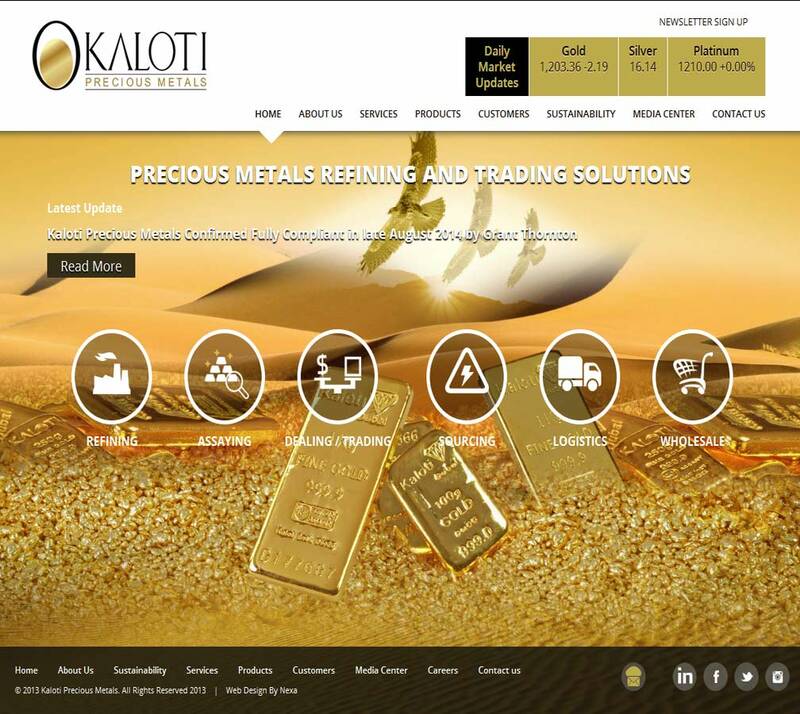 Kaloti Precious Metals is a global leader in integrated precious metals solutions. With over 25 years in the business, the Kaloti brand name is now synonymous with quality and purity. Kaloti Precious Metals are one of the leading precious metals companies in the Emirates region, providing 40% of Dubai’s gold imports and 25% of gold turnover in 2011, refining 300 tons of gold p/a at Sharjah with a target of 1400 tons on completion of it’s new Dubai refinery. Kaloti brand bullion and coins are widely available across the Middle East with jewellery providing further significant volume. 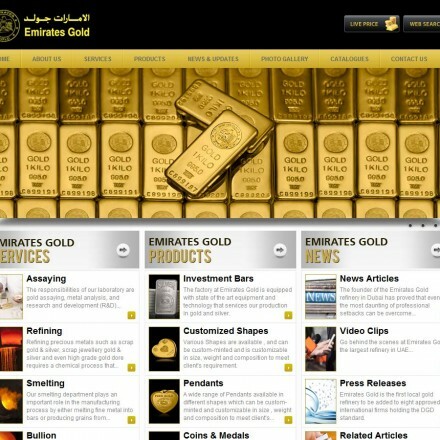 There are no current discount codes or special offers available for buygold.ae users. 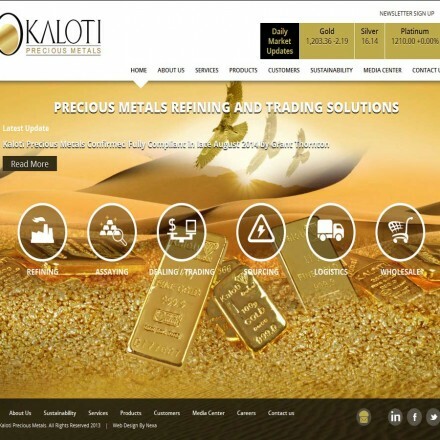 The Kaloti website contains the level of information one would expect from a leading refinery, bullion producer and bullion trading hub with detailed descriptions of the company and all services and products available alongside good bullion, coin and medallion images. The Kaloti PM website is clean and modern in layout and features responsive design. Although the site contains a lot of information, this is easily located thanks to clear navigation, with individual sections having their own submenu. All text is of a good size and making it accessible to visually impaired. All company details and legal information is clear. We did notice all but the LinkedIn social buttons are non-functional, but this may have been a temporary issue (January 2015). Like many gold dealers in the region, we were unable to find many online reviews for Kaloti, but those we did find were entirely positive, averaging 5 star rating. Kaloti are the pinnacle of bullion in Dubai. Market or offices a foremost service and fairest prices. Kaloti diamond is my sign of trust in investments without even the London support. 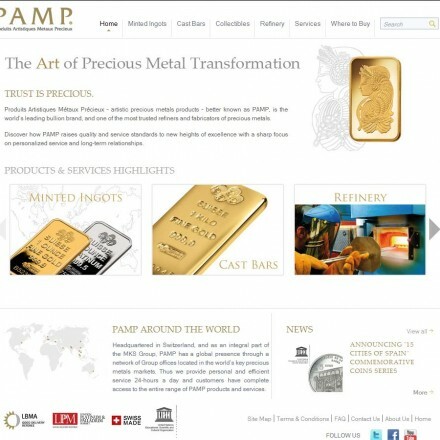 Excellent services for all types of bullion trading. Very good client service, reasnoble pricing and very strong financially. Buying precious metals from Kaloti is an easy process and one that many US companies could learn from. Our Kaloti Precious Metals reviews are powered by Bullion.Directory - The Metals Investment Portal.